When I first had the idea to start a blog I thought it was going to be easy. Boy, was I wrong! 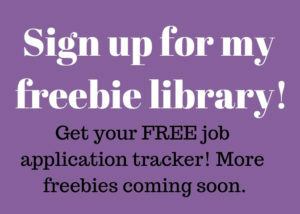 I started to spend as much time looking at Blogging Resources as I did Work at Home opportunities and Frugal Finds. I wanted to save you time and share with you Blogging Resources that helped me get where I am today. Some of the links may contain affiliate links. What does that mean? If you make a purchase using my link I make a small commission- at no extra cost to you. I only include affiliate links for products and services I believe in and would recommend to my friends. Suzi is a mom blogger with tons of information. On her blog, there are many posts on all subjects of blogging and on her Facebook page (and YouTube) she does free trainings and Q and A’s. She has many courses ranging from free up to $397. 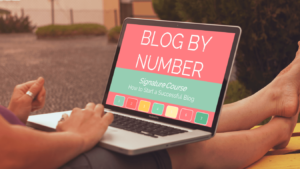 Her signature course, Blog by Number, is the course I took that really helped me understand blogging and how to do things I was lost about. This course is the perfect course for moms who want to start a blog, find their perfect blog idea, get step by step help with the technical parts, learn how to get traffic and how to make money with their blog. Suzi has many other courses as well. Many of them I have taken but there are many more I want to take. Some of the courses are Post By Number, List By Number, and Course By Number. Nomi May has a very in-depth course- Blogging Wave: A busy blogger’s 21 day guide to a profitable blog. I really enjoyed this course as it broke all the steps down and made them very easy to follow. Nomi May is very knowledgeable and helps guide you from setting up your blog with hosting and domain all the way to social media, content, funnels, and so much more. Carly from Blogging Like You Mean It and Mommy On Purpose has a wonderful Affiliate Marketing for Bloggers course. I recently took this course and learned exactly how affiliate marketing works, where to find companies to be affiliates for and how to write posts and emails while maximizing affiliate links. Carly also has a course called Pinteresting Strategies which I have not yet taken, but I do have it on my to-do list. The Genius Blogger’s Toolkit comes out once a year (about October) for about six days. It is a bundle of training resources from other bloggers. The value is amazing. About 98% off of what you would pay if you bought the trainings separately.